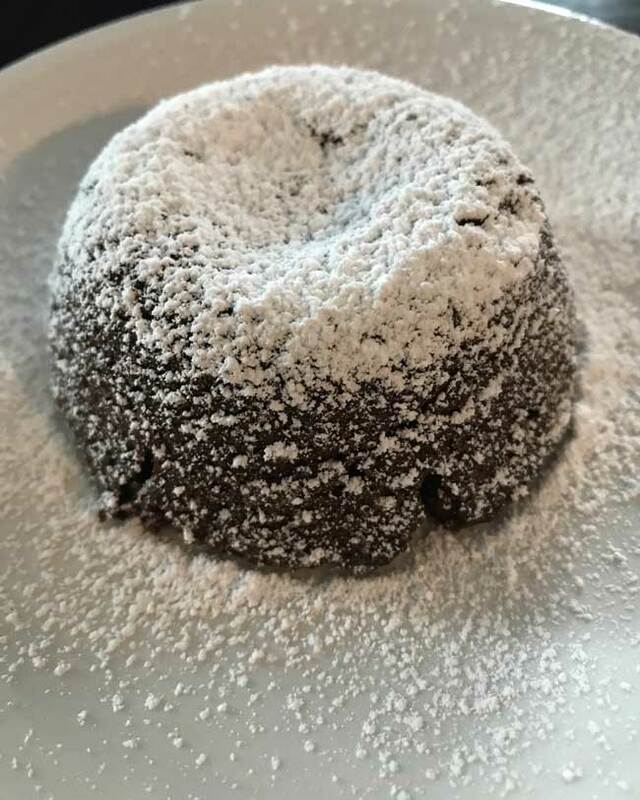 Chocolate Molten Lava Cakes gained fame in the nineties and became what some call the viral dessert of the decade. Despite lava cake’s rise and fall…wait. Did its popularity ever fall? 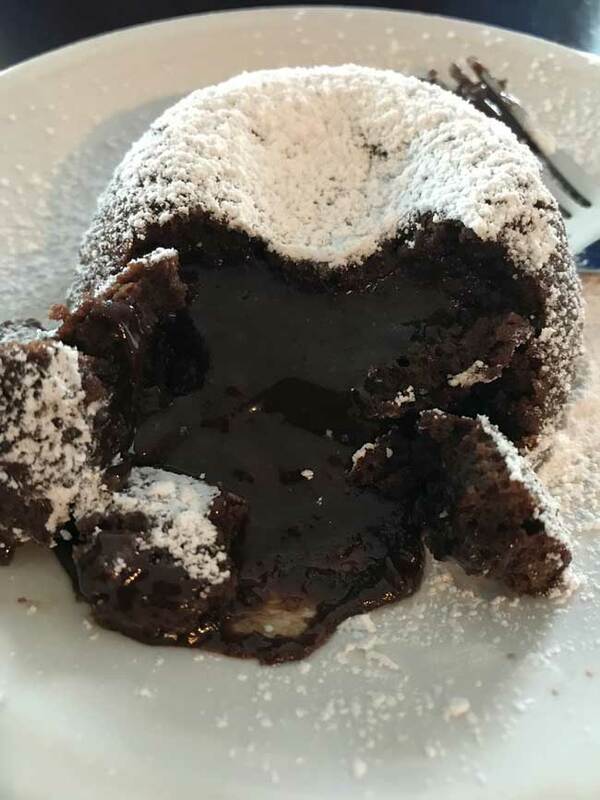 It definitely took its share of bashing by chefs who were tired of seeing it on every menu (I feel that way about brown butter sometimes), but it’s doubtful everyone just stopped loving something so delicious as Molten Chocolate Lava Cakes. Plus they are so incredibly easy and convenient. I needed a fast desert last night and realized I hadn’t made Molten Chocolate Lava Cakes in ages. I did post a recipe for Peanut Butter Molten Lava Cakes at one point but never a plain chocolate. Also, with Valentine’s Day coming up and what seems to be an uptick in interest in small batch desserts, Chocolate Molten Lava Cakes for two seemed like a good idea. These lava cakes for two are incredibly simple to prepare and can be refrigerated for a few hours (or even overnight) until you are ready to bake. The recipe is perfect for Valentine’s Day because it makes just two, but if you are full and just want a couple of bites, you can bake one and save the next one until the next day. Another fun thing about Chocolate Molten Lava Cakes is that you can vary the chocolate. I use Lindt because it’s easy to grab and the local Walgreens and almost always on sale, but you can use any high end chocolate around 70%. You could also leave out the liquor and use a flavored chocolate. Molten Chocolate Lava Cakes for Two is a scaled down, very delicious, version of an old Paula Deen recipe for Molten Lava Cake. For best results, use a chocolate around 70% and don't overbake. Lava Cake is great served with ice cream (of course). Grease 2 custard cups thoroughly with butter and dust with cinnamon sugar. In a large saucepan, heat the butter over medium until it just starts to melt. Add the chopped chocolate, reduce heat to low, then stir until melted and smooth. Remove from heat and stir in the sugar. Let cool slightly if mixture seems very hot (it shouldn’t be), then whisk in the egg and the yolk. Whisk in the flour until blended. Lastly, add the vanilla (and Kahlua, if using). Divide the batter evenly between the two cups. Cover and chill until ready to use or place in the oven and bake for 14 minutes. Keep an eye on it. Ovens vary and 14 minutes may be too long for some, in which case you’ll just get less lava. Carefully remove from the oven, loosen gently with a knife and turn the cakes out on a plate. These look fabulous and the perfect amount for two. I love small batch desserts! Thank you for this, I will make these Thursday. I LOVE your blog, can’t wait to read it, thanks! !